Every good designer knows that simplicity in design is hard to achieve. Getting rid of the superfluous and retaining the essential without sacrificing character and style is an art in itself. When it comes to furniture, achieving simplicity is even more difficult, since the objects must also serve a functional role. Here are a few examples of seating pieces that draw their inspiration from the clean lines of mid-century minimalist furniture design, but manage to remain actual and appealing. The sharp geometric design of these armchairs does not take away from their comfortable and inviting feel. 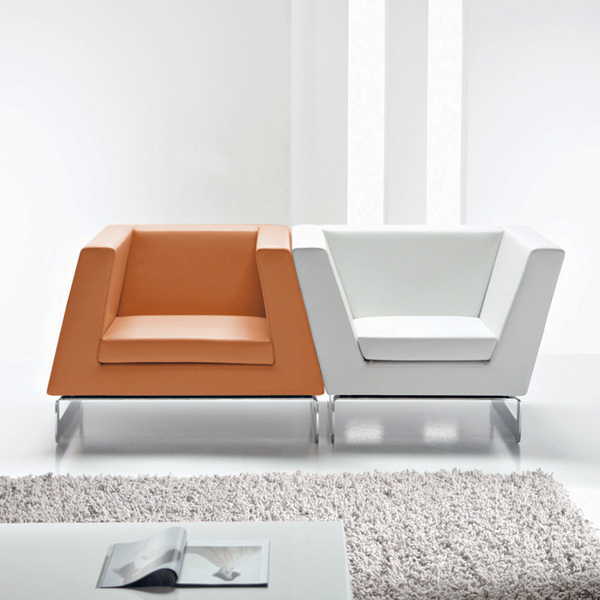 Their enveloping backrest construction calls to mind moments of calm and relaxation. However, these pieces come with an additional benefit. Their modular design makes them perfect for creating different seating configurations without wasting any space. Placed together they create a cohesive design rather than the impression of an improvised decor. To avoid the risk of monotony, different color combinations provide just the right amount of contrast. 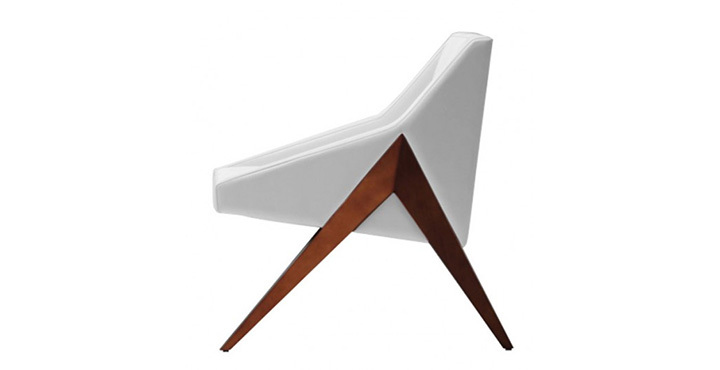 This chair from Michael Wolk Design seems to feed on the geometric beauty of angles. 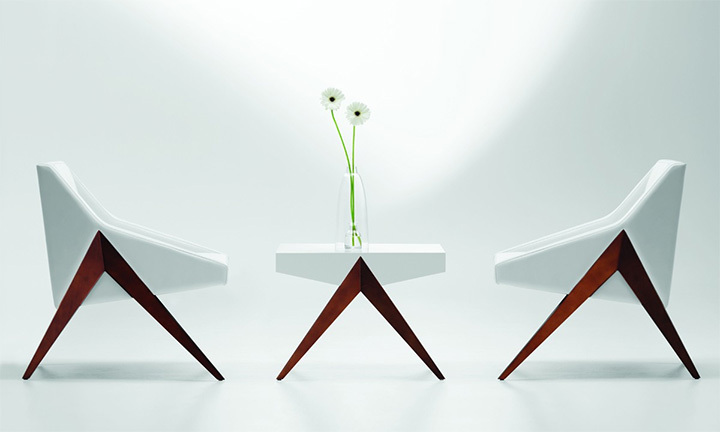 Straight, sharp or obtuse, its angles come together into a piece that recreates the retro look for today’s tastes. 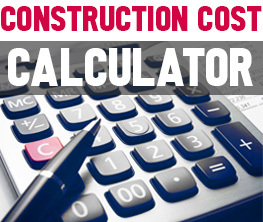 The color and material contrast makes up for the simple construction and gives it character. An excellent example of minimalist furniture design, this chair is space-saving, clean and chic, encapsulating the very charm of simplicity. If furniture design is an art, some of the best design teachers are the enduring artists of yesterday. 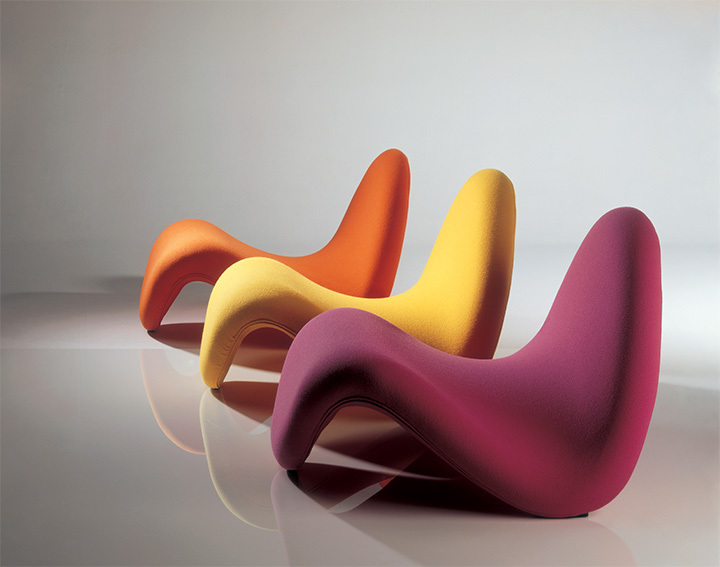 The Tongue chair was created by Pierre Paulin for Artifort in the Netherlands in 1967. A foamed tubular steel inner frame that is upholstered in stretch monochromatic fabric flows gracefully in large curves, creating a charming and playful piece. There are no angles here, just soft sinuous lines that make sitting on the floor look fun, comfortable – and elegant. The legless, armless construction simplifies this chair and reduces is to the essential elements. Vibrant colors add extra character to a piece that lacks none. In fact, the Tongue Chair is featured as part of the permanent design collection at the Museum of Modern Art in New York. Slightly removed from the modern lines of the pieces above, the Swing Me chair by Daniel Pouzet is not strictly an example of minimalist furniture design. 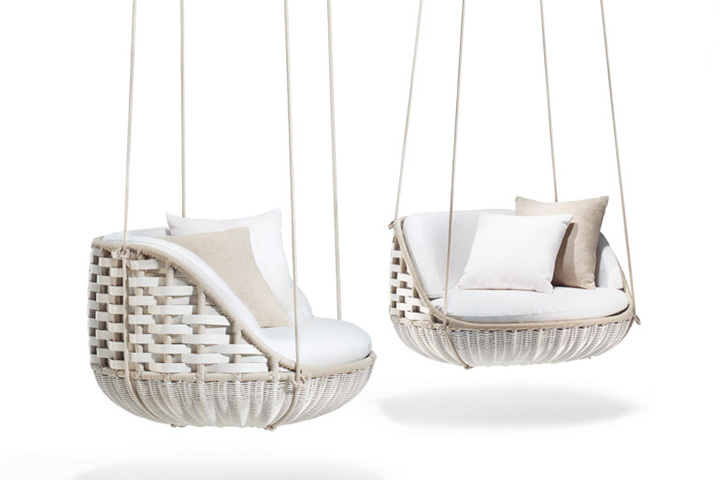 While its curved silhouette is simple, with an enveloping backrest that continues with the base, a hand-woven strand construction gives this swing a good amount of detail. However, this is a space-saving design that keeps the decorative part restricted to the texture of the material and away from its main lines.